1. 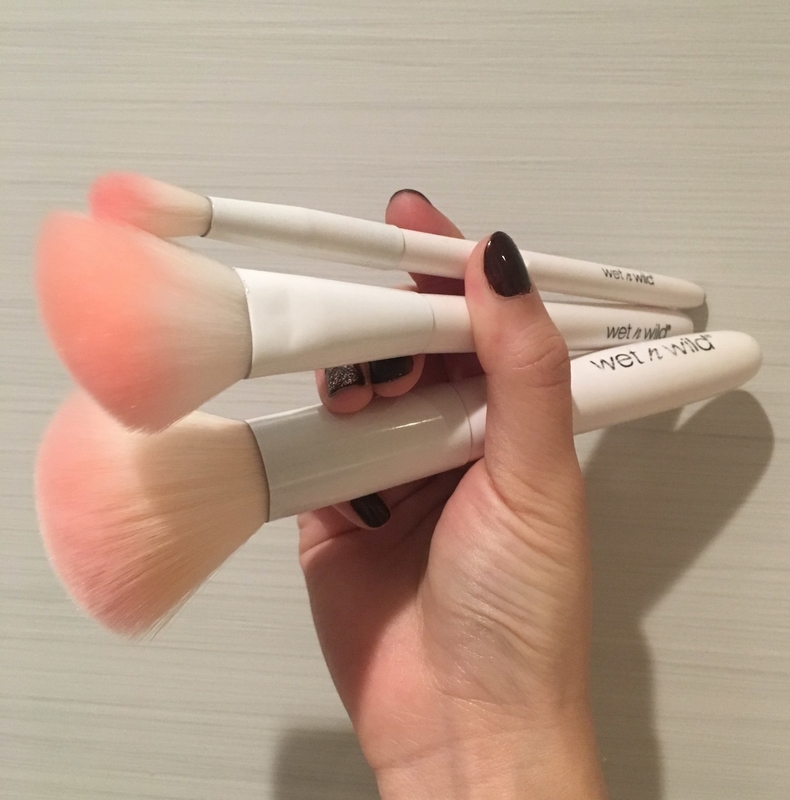 Wet n Wild Brushes (specifically blush, contour, and crease) only set ya back a mere $1 or $3 each, but that's not even the best part — they're also so incredibly soft and fluffy and blend makeup beautifully and evenly. I am a perpetual finger makeup artist, meaning I tend to put on a lot of my makeup with my fingers — concealer, foundation, eyeshadow, highlighter, you name it! But when I do use brushes, I always reach for the same few out from my eclectic collection: these pink floofy brushes from Wet n Wild. Nice brushes also typically run you anywhere from $20 to $40 too (which I'd rather be spending on actual makeup), so the fact that these are all under three dollars is really enough to make my heart flutter. I use the blush brush most often, but usually for powder (it's so satisfying to run all across your face and any brush that's not as poofy simply won't do) and highlighter (I know people like to use thinner brushes but I like dumping as much shimmer on the top half of my face as possible). The crease brush is another favorite because I tend to apply eyeshadows by finger first and follow up with this baby to blend out the darker shades so all the colors like they're playing nice and are meant to be worn together. Get them from Amazon: blush brush for $2.99, contour brush for 99 cents, and crease brush for 99 cents. 2. 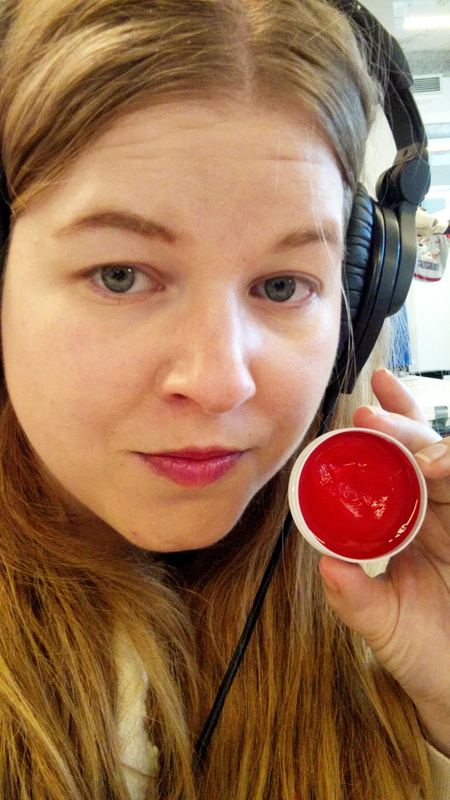 Too Cool For School Dinoplatz Lip Balm has the loveliest pinky-red glossy tint and its jello-like texture is high-key addicting to play with. When I was in high school, a group of my friends went on a spring-break trip without me. (IT’S FINE.) They all came back with matching lip glosses packaged in round metal tins. 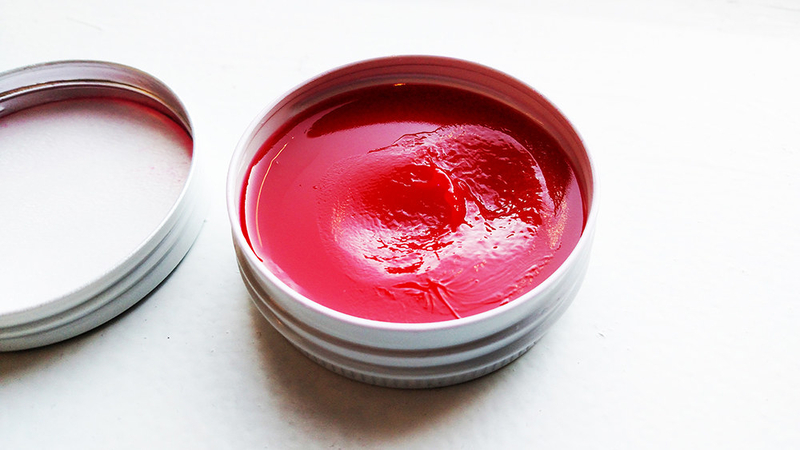 I was so jealous as I watched them whip out those tins and apply the gloss with their fingers. I haven’t stopped thinking about it for TEN YEARS. But I found a lip gloss to avenge my teenage self. It’s by Korean beauty brand Too Cool For School. 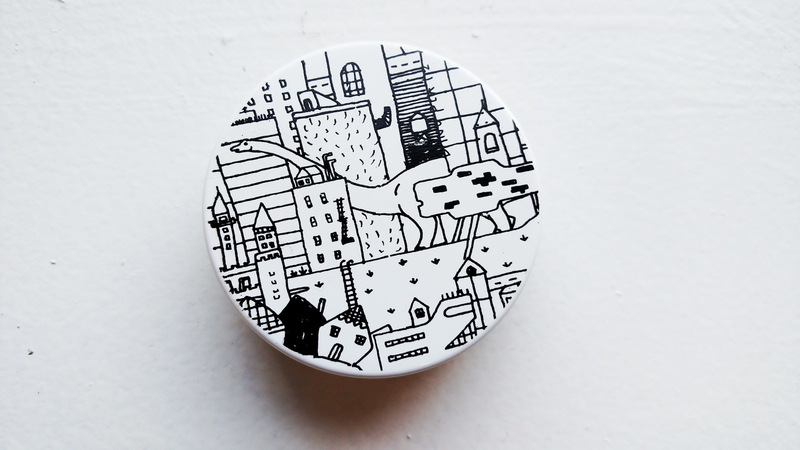 The gloss is called Dinoplatz and it comes in a ROUND METAL TIN with cute dinosaur illustrations on it. Get it from Sephora or Nordstrom for $15 (available in five colors). 3. Supergoop! Daily Correct CC Cream covers a lot of bases in one simple, flattering, and easy-to-apply formula: full, natural-looking coverage, SPF 35, and cruelty-free ingredients. Score! For the most part I don’t wear a ton of makeup. I basically throw on five things and run out the door: mascara, blush, eyebrow stuff, (maybe) concealer, and THIS! 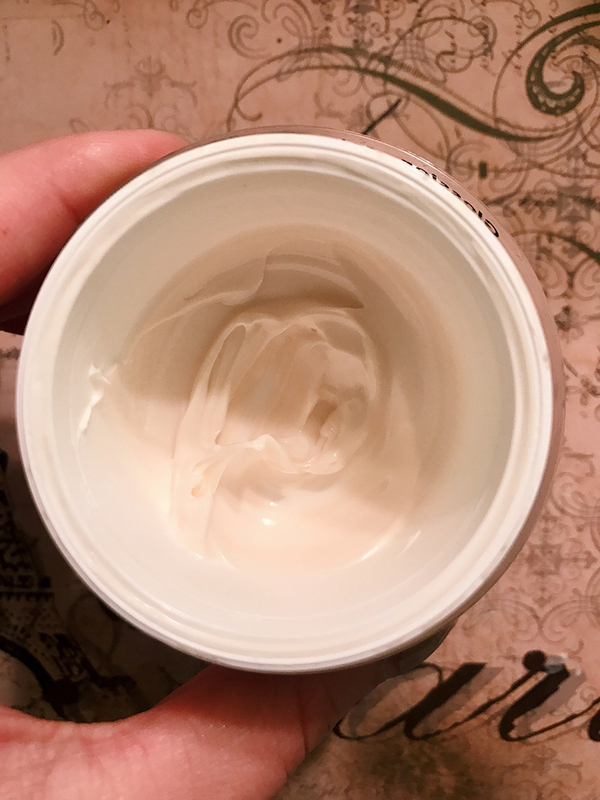 My Supergoop CC Cream! Get it from Sephora (available in three shades) or Amazon (available only in light/medium) for $32. 4. 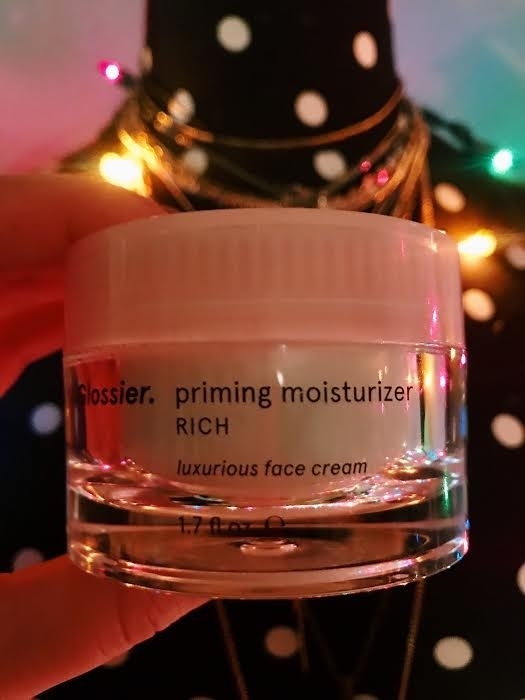 Glossier Priming Moisturizer Rich absorbs quickly and seamlessly and locks in impressive, grease-free moisture all day long, thanks to ingredients like spongy red algae complex and ceramides — and it also helps your makeup last even longer, so it really goes above and beyond. First thought: The smell is very pleasant, almost like a subtle lavender. Second thought: It absorbs into my skin SUPER quickly. Within minutes, my skin feels super moisturized, but there’s no greasy film enjoying itself on my T-zone. AND! It calms down the redness around my nose and cheeks and leaves a smooth, dewy canvas that lets makeup glide on and blend in with ease. Plus, I’ve noticed that my concealer stays on significantly longer when I use this, which, to be honest, is nothing short of a Christmas miracle because my makeup NEVER lasts. Get it from Glossier for $35. 5. Bobbi Brown Everything Mascara blesses you with natural-looking and clump-free lash oomph, so you feel like your most fabulous, mostly functioning self every day. 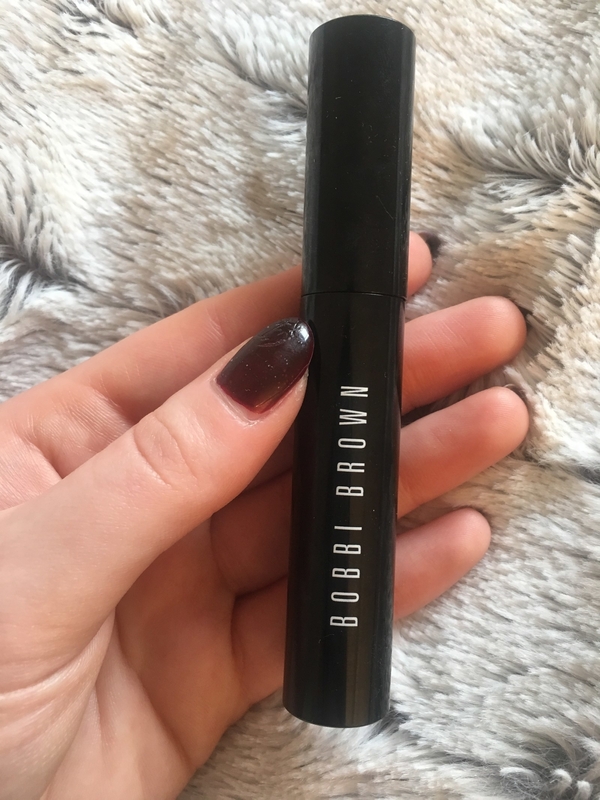 This Bobbi Brown mascara became an everyday staple the second I started using it. It's volumizing and lengthening all at the same time, without EVER clumping. I'm not big on makeup, but I do like to wear mascara to look like I'm not totally beyond hope. My biggest pet peeve is when mascara makes my lashes look clumpy and unnatural...just why?! Why. :( Anyway, this one makes me look like I just so happen to have thick and luscious eyelashes — it looks so natural! Get it from Nordstrom for $30. 6. Drunk Elephant C-Firma Day Serum has reached cult status in the skin-care fiend realm for its potent formula that stays active and can't be washed/rubbed off for up to 72 hours — hello, visibly glowing, smoother, and hydrated skin! One of my favorite internet hobbies is reading impassioned skin care testimonials. It gives me hope in these dark, dark times, that though we may be staring down the barrel of myriad global catastrophes, at least we can be the masters of our own epidermal destinies. Which is why, after months of reading about the wonders of the Drunk Elephant C-Firma Day Serum, I took advantage of Sephora's VIB sale and shelled out for my own bottle of the stuff. Drunk Elephant is an all-natural beauty line that has developed a cult following among skin care obsessives for its silicone- and fragrance-free serums. 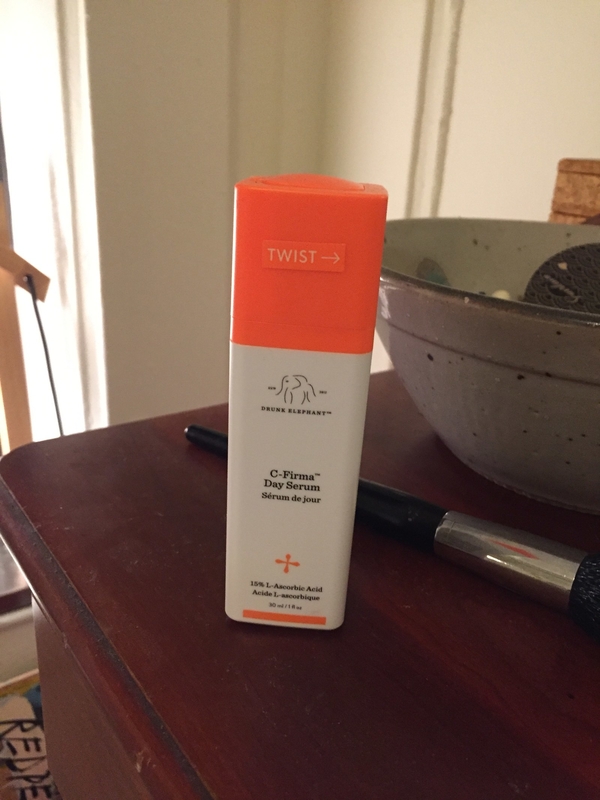 I was interested in the C-Firma serum because 1) it was recommended for all skin types (mine is "oil slick forehead, Sahara-dry muzzle"), and 2) it promises to tighten, brighten, and even your skin. So, did it work? Get it from Sephora for $80. 7. 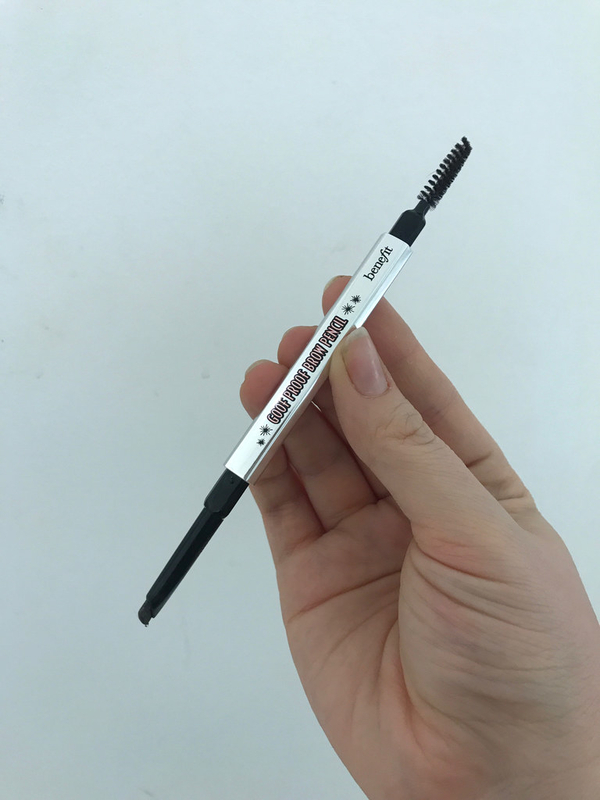 Benefit Cosmetics Goof Proof Brow Pencil makes it a snap to fill in and shape your overplucked eyebrows, so they always rock their ~fullest~ potential. The product I've been obsessed with as of late is the Benefit Cosmetics Goof Proof Brow Pencil. Eyebrows have always been the part of my makeup routine I struggle with the most. 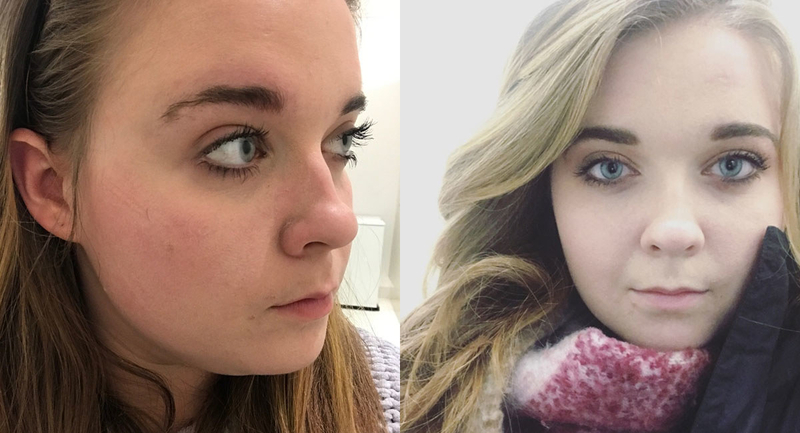 They say "eyebrows should be sisters, not twins" — and well, I'm here to tell you mine look like third cousins twice removed. I also have pretty thicc eyebrows that need constant plucking and lining. Sometimes I get a little pluck-crazy...and wind up with half an eyebrow. Get it from Sephora for $12 (mini size, available in one shade) or $24 (standard size, available in six shades), or Benefit Cosmetics for $24. 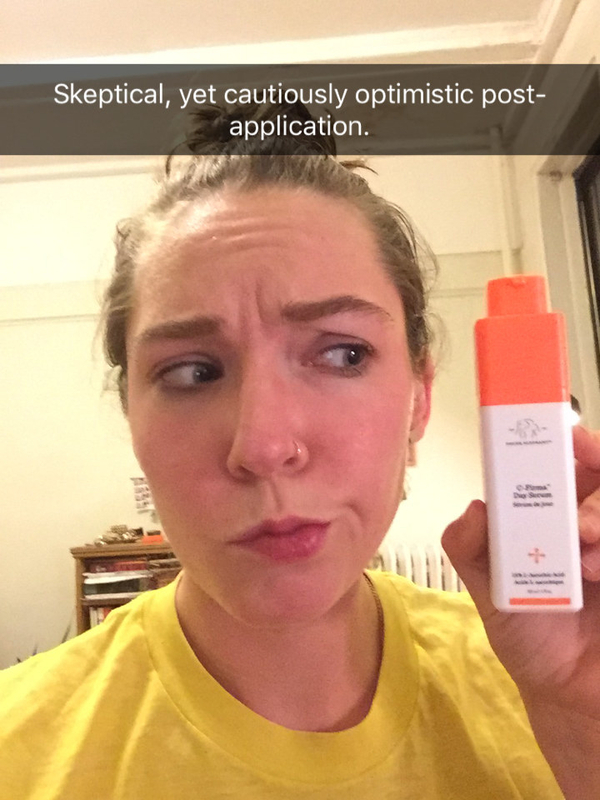 Not ready to stop reading beauty reviews? Don't fret! There's lots more where those came from here.